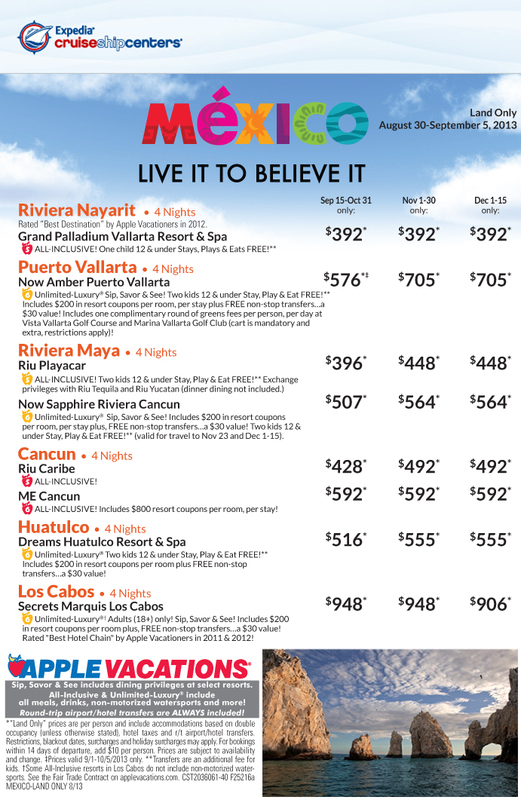 APPLE VACATIONS - All Inclusive Mexico from $392 !!! All Inclusive Mexico from $392 !!! All Inclusive Mexico od $392 !!! Terms and Conditions: Please read terms above under "Apple Vacations" banner. Additional restrictions may apply. Ask your Cruise Consultant for details. CruiseShipCenters is not responsible for errors that may occur due to the transfer of information from selected third parties, technical error, or human error.